Today’s share one of the designs made in my January stamp class. It is an adorable Well Said Love You Valentine card. I challenged myself to use the Well Said Bundle AS WELL AS the Brusho Crystal Colour. The Brusho Crystal Colour giveS the cool watercolor look effect. I wanted to create a clean & simple Valentine’s Day card for class AS WELL AS play with Brusho Crystal Colour. I love the versatility of this design. It would be great for a Valentine’s Day, Anniversary, or just as an I “love you” card. 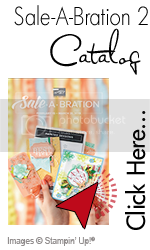 The “love you” is from the Well Said Bundle in the 2019 Occasions Catalog. After I perused the new 2019 Occasions Catalog it was one of my “must have” items I had to get. This bundle includes word images along with lovely script word dies to combine together. Finally, to add additional texture, I used the White Washed design from the Wood Textures Design Series Paper. GREAT TIP: I cut the “heart” from the center of the watercolor paper before adhering to the base. Also, I cut the “love” from the Copper Foil layer before layering with the White Wash design. I hope you enjoy today’s clean & simple Valentine’s Day card as much as enjoyed sharing it. Thank you for stopping by today. I hope you have a great day and get your fingers inky! Below are the supplies I used to create my Well Said Love You Valentine Card | Pinkstampage. To add any of the items you need, just click a pic! THANK YOU for choosing me to be your Stampin’ Up! demonstrator!